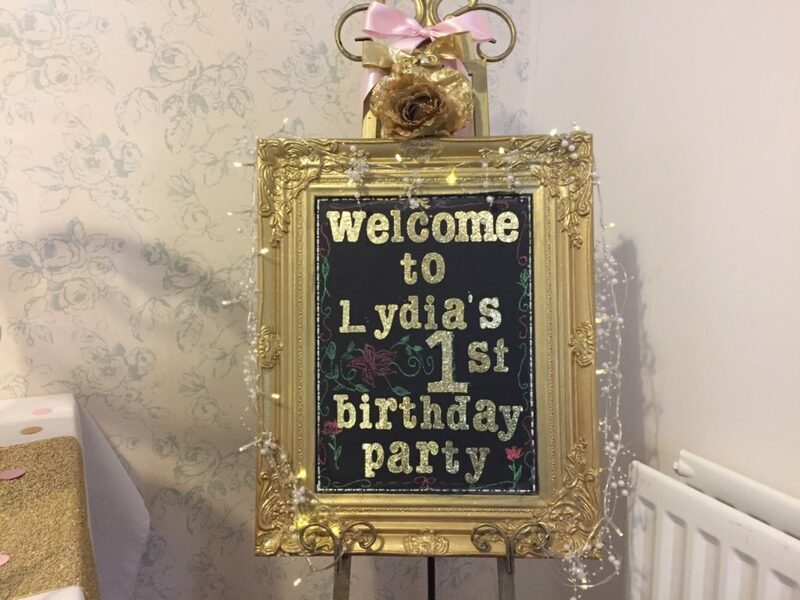 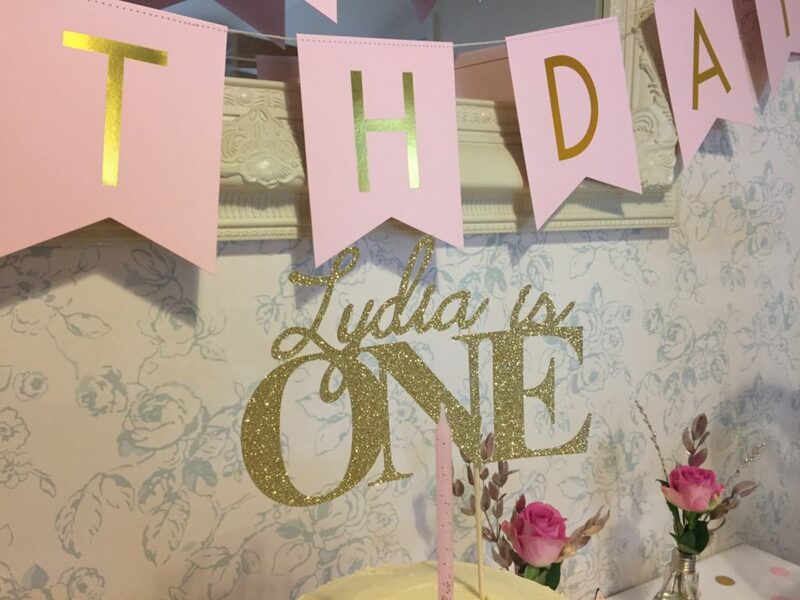 I’ve finally gotten round to adding a birthday party section to the blog and realised that I had never posted Lydia’s first birthday party although she has now turned two🙈 Ah well, better late than never as the saying goes! 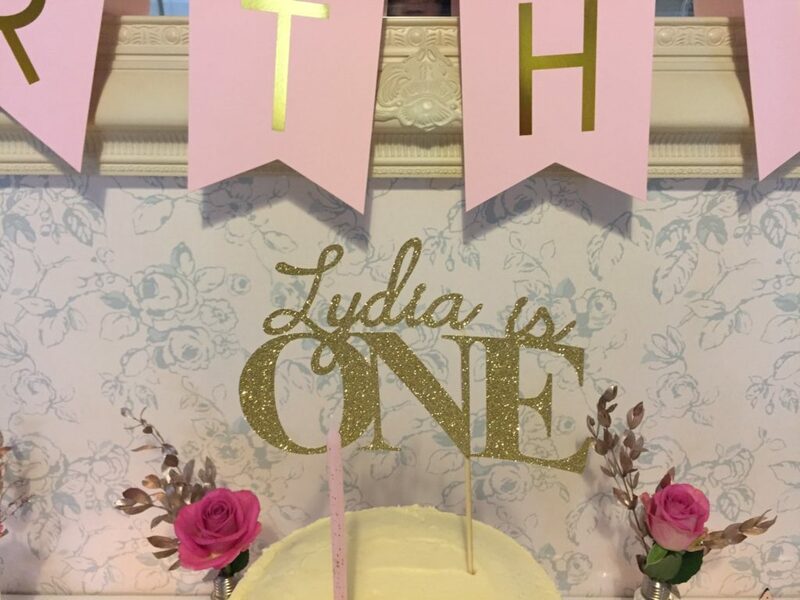 For Lydia’s first birthday her mummy Rebecca wanted it have a pink & gold theme with some Liberty fabrics added into the mix! 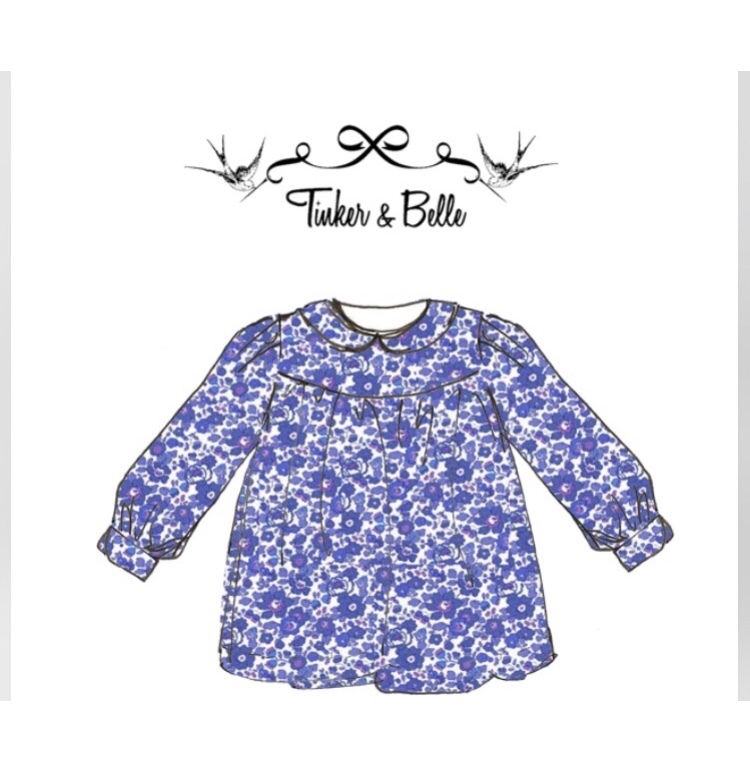 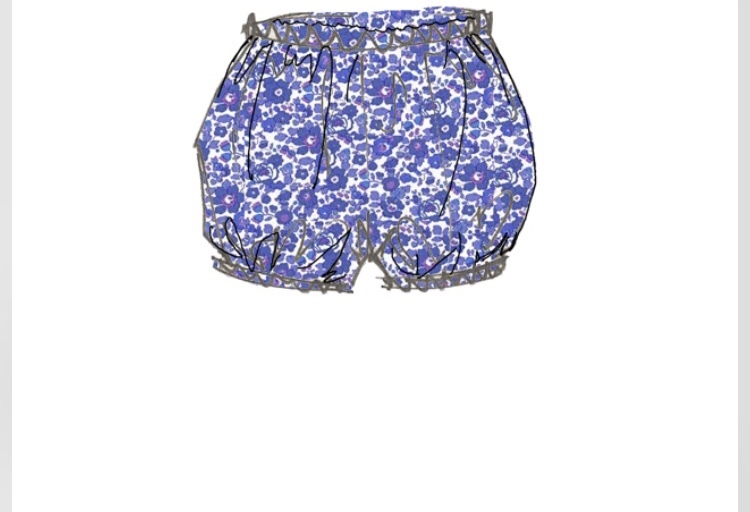 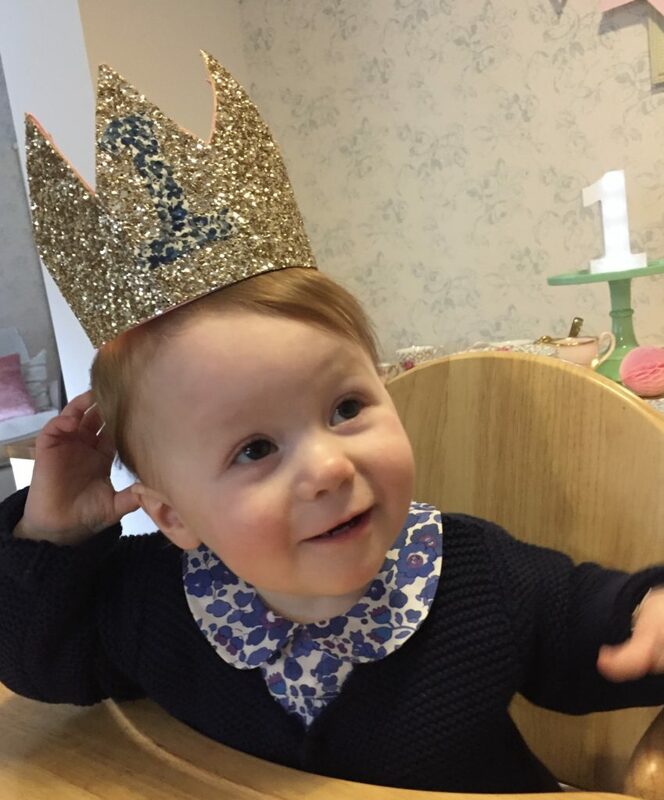 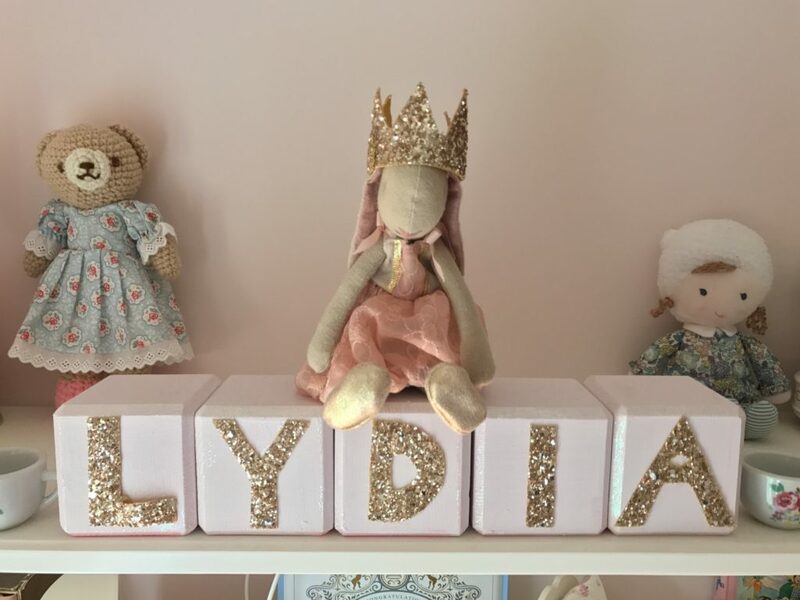 Lydia’s gorgeous Liberty outfit was designed and made by the wonderful Tinker & Belle and I made her a little sparkly gold crown with a Liberty number 1 on it. 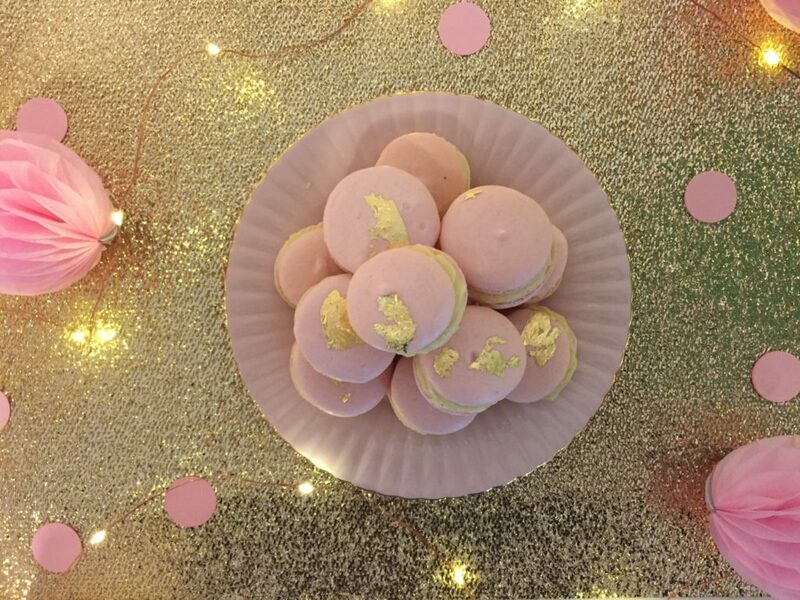 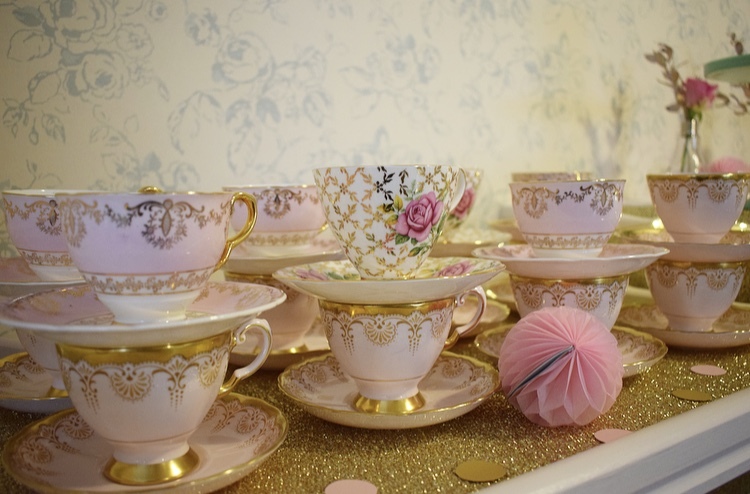 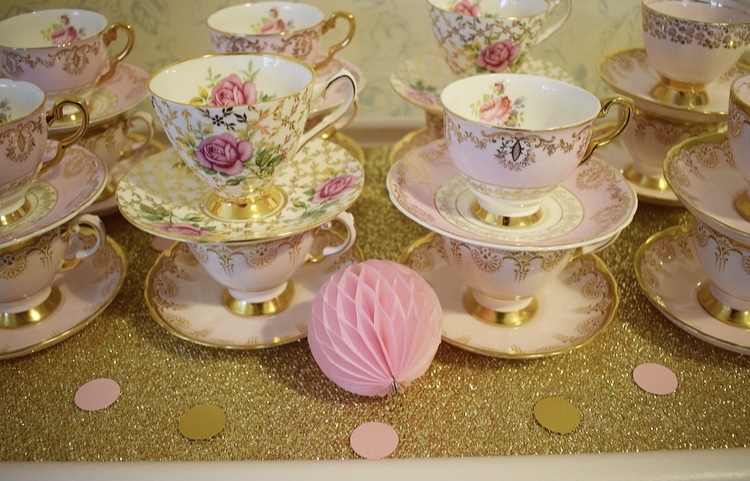 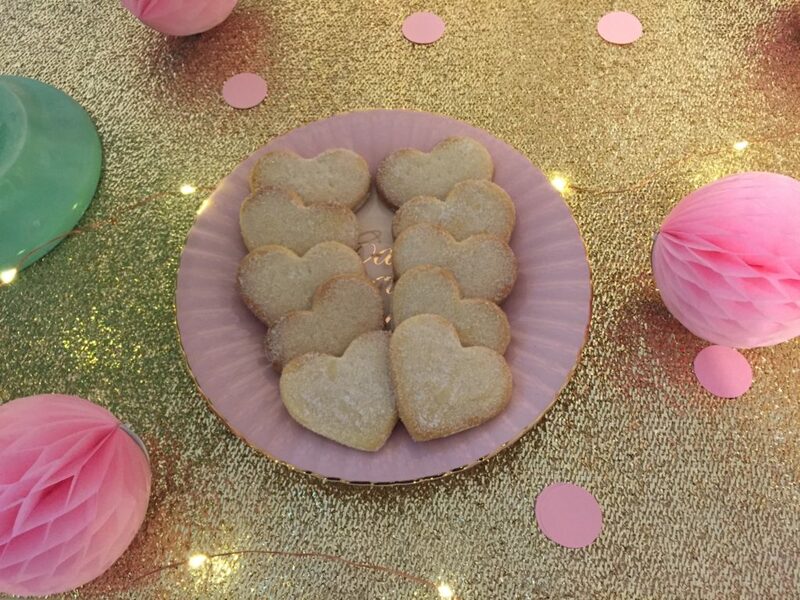 I set up a vintage tea trolley which I’d painted white with some gorgeous pink & gold vintage teacups and plates and on the table we put a drinks dispenser and the birthday cake along with some homemade pink macarons & heart shortbread. 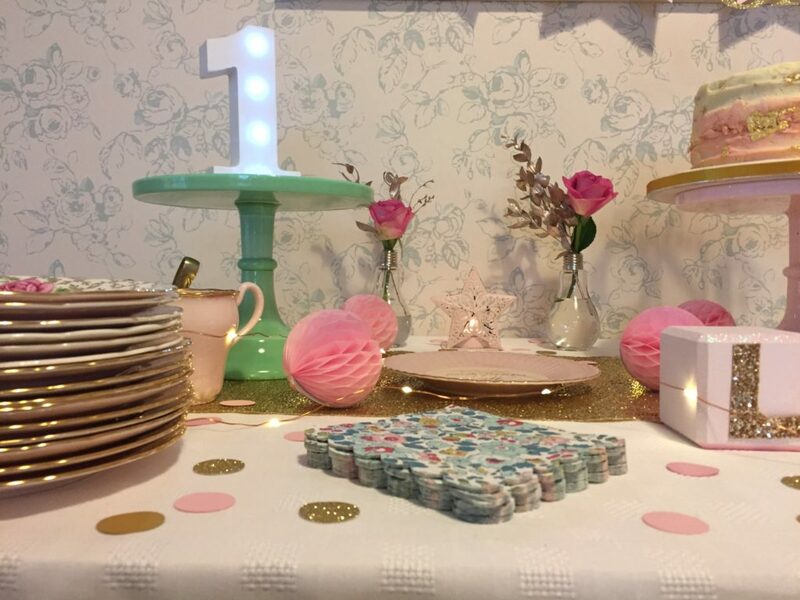 For party decor I used pinwheels and star garlands along with table confetti and little fairy lights and pink star tea light holders. 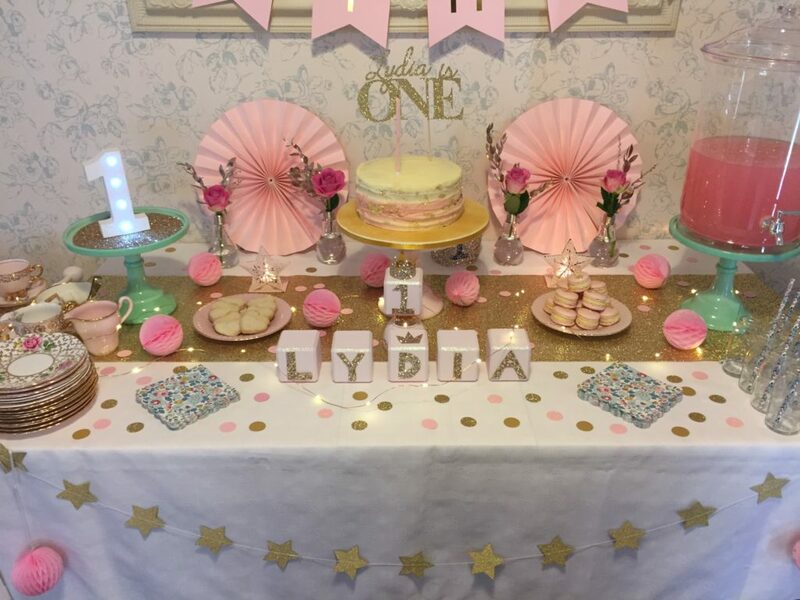 The gorgeous cake was by Judith’s cakes & bakes and glittery cake topper was from London Sparkle. 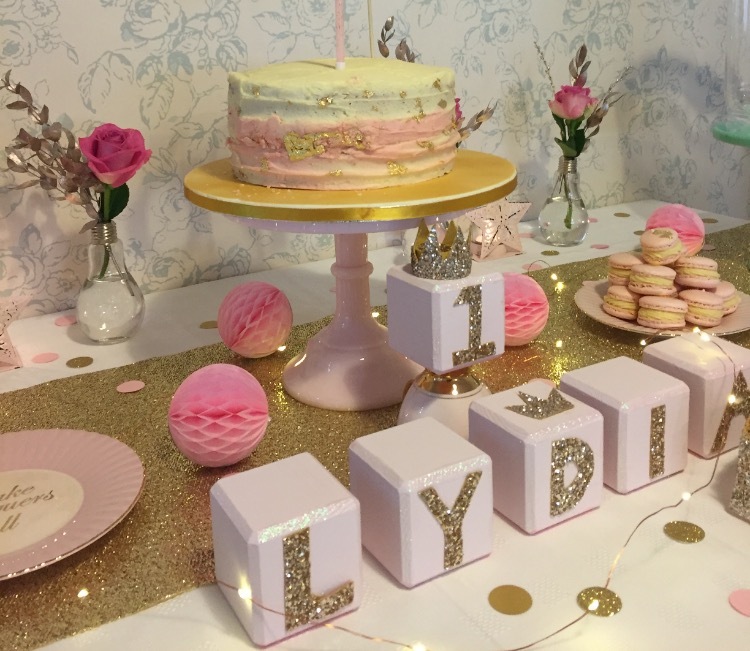 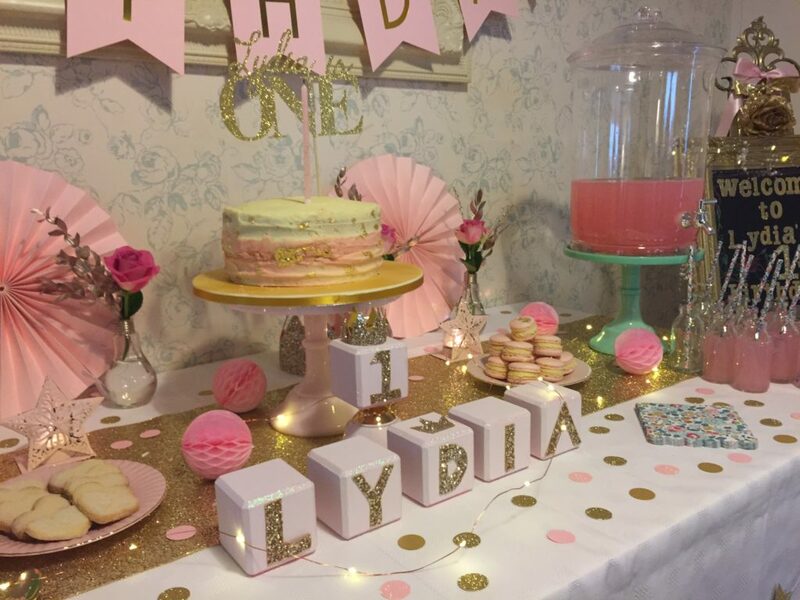 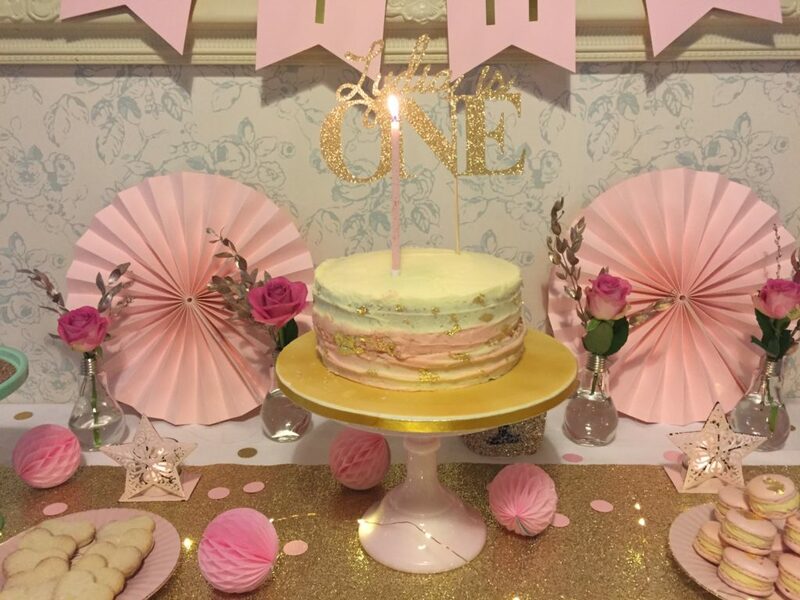 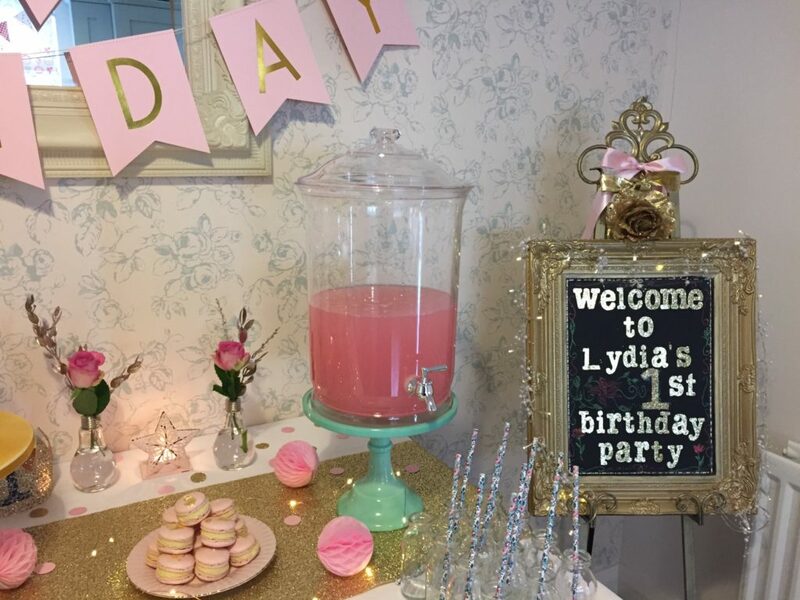 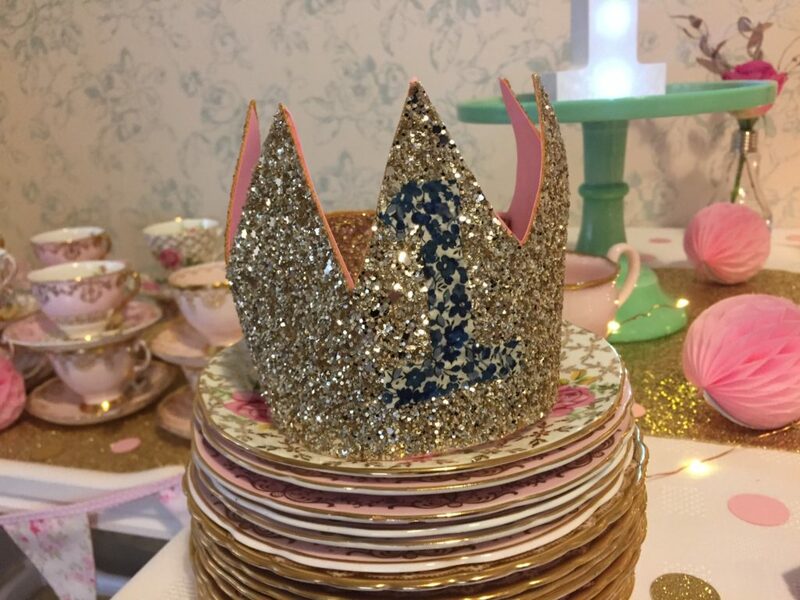 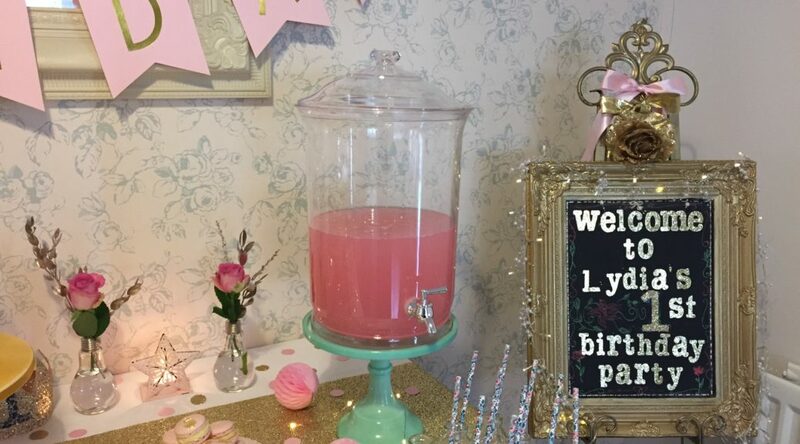 I ordered some little wooden blocks from eBay and painted them pink and then cut out letters using glittery gold fabric to spell out Lydia and they made a perfect addition to the cake table and are now displayed in Lydia’s bedroom as a little keepsake. 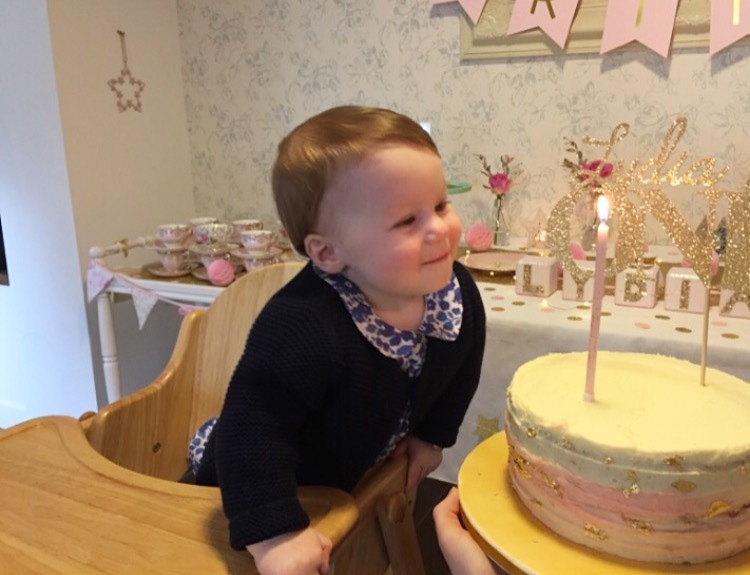 Lydia loved all the excitement of her party with all the family there and especially loved blowing out her candle on the birthday cake as we all sang happy birthday to her!